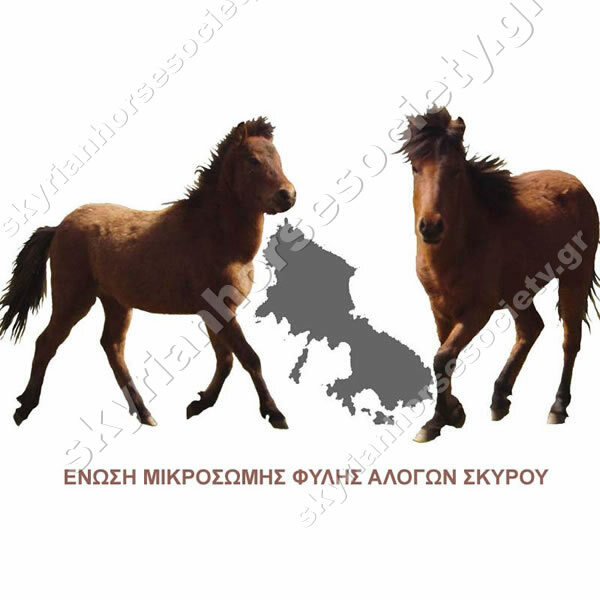 The Skyrian Horse Society is a non-profit association founded in January 2006. 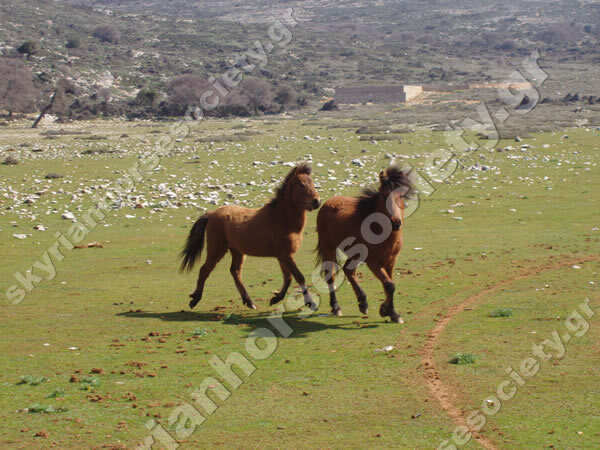 It is registered in Skyros, and its members are individuals and legal entities from throughout Greece that own Skyrian horses. The aims of the Society are to record genealogical data,upkeep the stud book and ensure a pedigree is developed for the Skyrian horse.This along with other measures will help preserve, promote and develop the breed. The Society collaborates with "Amaltheia" (the Greek branch of the Save Foundation) and with the "Greek Society for Protection of the Environment and Cultural Heritage". 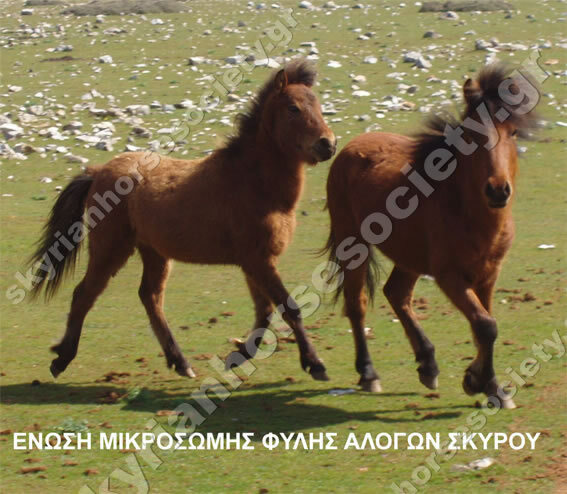 The Society is funded by the Ministry of Agricultural Development and Foodstuffs for the project of recording and maintaining genealogical data on all Skyrian horses in Greece, by its members' annual subscriptions, and by donations. We have also developed a program for "adopting" Skyrian horses, whereby a considerable part of the horse's expenses are covered.